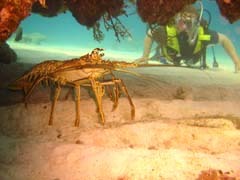 The Exumas offer some excellent diving. Cliff and Liza have expert knowledge of world-class dive sites with virgin reefs, wrecks, big animals, warm water and spectacular visibility. 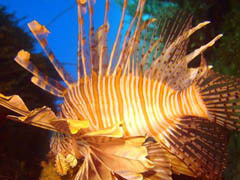 Some fantastic drift dives are available. Captain Cliff is a NAUI Scuba Instructor, so guests may dive without being dive certified. All diving is weather dependent. Divers can estimate 2-4 dives a week, perhaps more and perhaps less. "2 of the best dives of my whole life." "Now we see what you mean about quality over quantity. That dive had everything. There was never a moment when we weren't seeing something really big and really cool!" SOLSTICE features Sherwood equipment and an onboard compressor. Cliff has been a certified diver for 33 years, and Liza has been a certified diver for 15 years. All diving is at Cliff's discretion, and all divers sign a NAUI release form before diving. 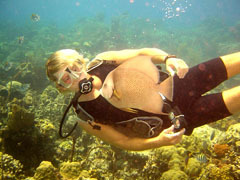  For Certified Divers: $60/person/dive. Includes tank, weights, BC, regulator, mask and fins. Does not include wetsuits, encouraged December-April. 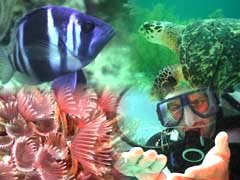  Resort SCUBA course: $150/person. After completing this introductory course, typically in an afternoon, new divers can dive with Cliff for the rest of the charter - no prior certification required! $150 includes instruction, one dive, and equipment. Does not include wetsuits, encouraged December-April. 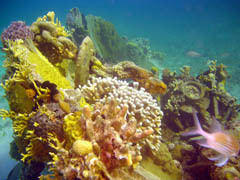 Participants can elect to do additional dives at $60/person/dive, accompanied by the instructor. Do your pool and book work at home, and get dive certified during your charter! Includes an in-water skill assessment. Student must bring prior coursework proof and instructor sign-off. 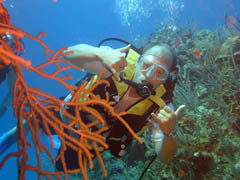 The course includes equipment and 4 supervised SCUBA dives plus 1 supervised snorkel dive. Does not include wetsuits, encouraged December-April. The successful student will qualify for the NAUI Open-Water Certification and can add dives at $60/person/dive. This is the entire entry-level NAUI Open-Water certification course. Includes all instruction books, workbooks, paperwork, registration fees, and equipment. Does not include wetsuits, encouraged December-April. Instructor is Captain Cliff Block, NAUI/PADI/NASDS instructor #11660/755. This does not guarantee certification. The successful student can add dives at $60/person/dive.